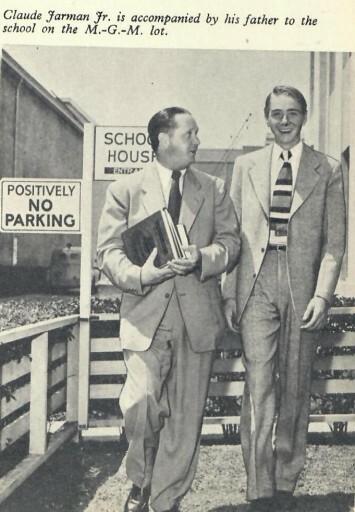 Below – Claude Jarman Jr. looks quite grown up – as he goes to School accompanied by his Father – and in the MGM Studio Complex. Below: Doris Day kissing her boy Terry goodbye as he goes off to school. 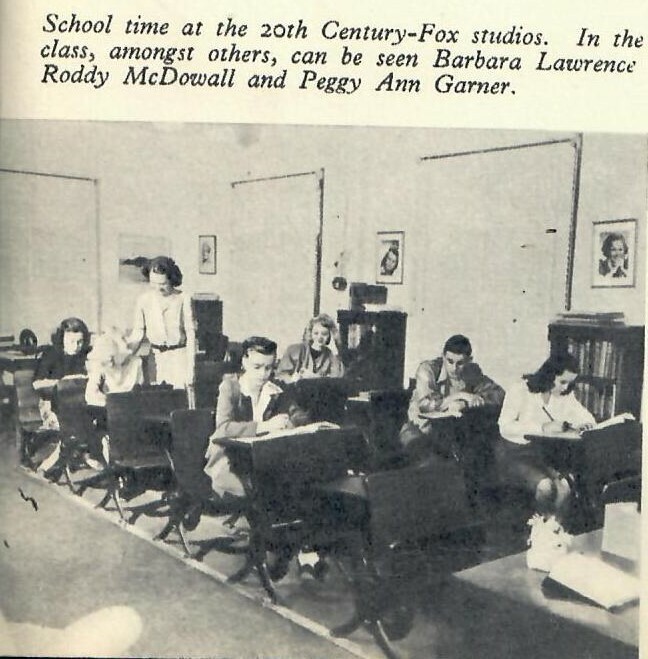 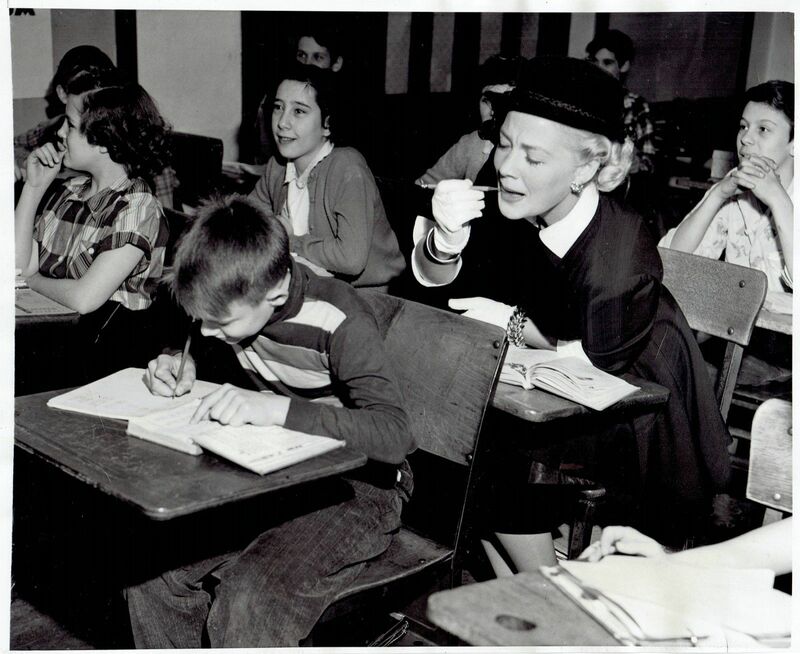 1950 Film Star Betty Hutton at school taking a mock English Exam and Clowning about – in an imitation of what she might have been caught doing back in 1933 when she actually did take the exams.